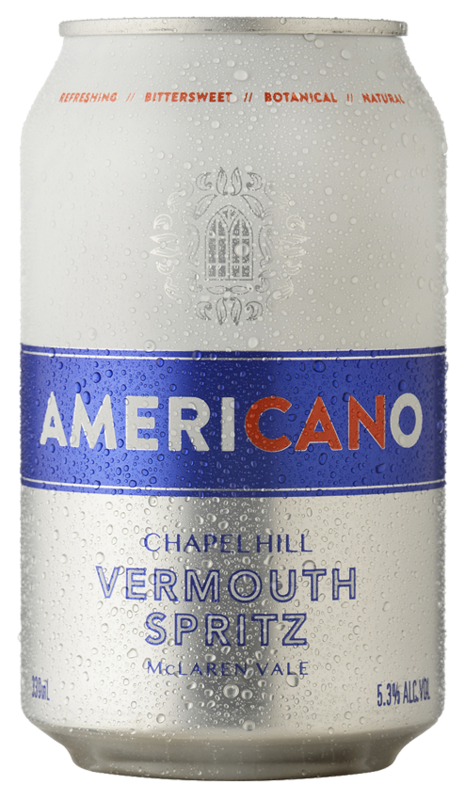 This delicious Americano cocktail has been crafted by the team at Chapel Hill Winery. McLaren Vale Grenache was fortified with native Australian botanicals, citrus and wormwood to create red Vermouth which was then blended with Shiraz juice and soda water. A perfect year-round drink, in a can! Free from cane sugar and nasty additives, naturally made. Serve tall over ice with a wedge of orange or just drink neat from the can. Available to taste and buy in our Cellar Door and to purchase from a number of stockists across the country. Please email sales@chapelhillwine.com.au and we can put you in touch with your nearest stockist.